I read Wind Catcher by Jeff Altabef and Erynn Altabeff for free in exchange for an honest review at netgalley.com Spoilers below the cut! I was very excited to start this book; the main character, Juliet Stone, is Native American and is caught up in a strange series of events and learns she has special powers. Pretty much everything I look forward to in a character. But Wind Catcher was a disappointment from the first chapter. Wind Catcher started with a prologue; something I’ve come to dislike. I can usually let it pass. Prologues that last a page or less are fine, but this prologue went on for five, six pages (it’s hard to tell, I was reading a kindle edition and the exact amount of pages change depending on text size). What was even worse, is that the entire prologue was told through dialogue and dialogue that was very clearly edited from what used to be narration. Speaking of dialogue (see what I did there? ), the dialogue was clunky and awkward; with a cast full of teenagers, not a single one of them sounded like a teenager. The main character, Juliet, at one point says, “He [her father] has to earn my trust also.” While grammatically correct, this is not the way a 16 year old would say it. Chapter 1 contains events that we don’t even see, not even later in the book. There’s a faint connection, but the tone between chapter 1 and chapter 45 where the events actually occur is so radically different that I don’t believe for one second that it’s supposed to be the same character. Juliet was supposed to have secret powers, visions and a sort of telekinesis, but we don’t get an inkling of these powers until more than halfway through the book. Then she masters he powers in a matter of hours, with the aid of an ancient magical potion? If the 20+ chapters of minimal plot progression didn’t lose me, this did. As far as I’m concerned, Wind Catcher had 20 prologues in a row, and the rest of the book was the actual story. A story, which had been set up to make you believe it regarded the Wind Spirit and Coyote, spirits that were important to Juliet’s grandfather and their tribe (and I don’t even think we were given a specific tribe of Native Americans, it was just “the Tribe”) but within the last three chapters, it’s revealed that it’s actually aliens. Take that as you will. I only finished this book because I don’t believe it’s fair to the author(s) to give a review (good or bad) unless you’ve read the entire book first. I kept waiting for the book to redeem itself, but it never did. I’m sorry, but I won’t be continuing this series. 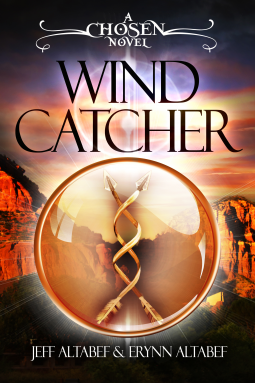 Wind Catcher is published today, March 23rd, 2015, from Evolved Publishing. You can get it in ebook format or paperback from retailers, including Amazon. Next Post New Domain Name! I really liked your review. Great observations. I feel that if I were to read the book (and I won’t now!) I would feel just the same as you!